These were done for my sister in March! My blue bubbled a LOT. And I was using a Beauty Secrets Top Coat that I bought from Sally's, I had yet to discover the magic of Seche Vite. 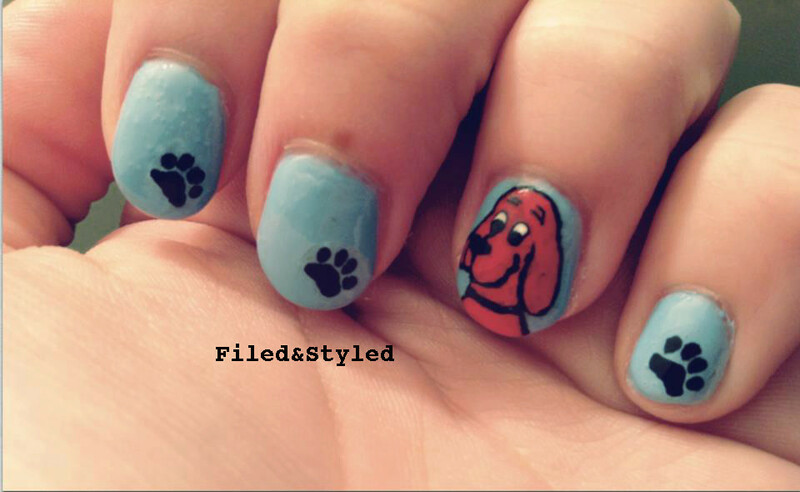 Acrylic paint for Clifford and the pawprints.